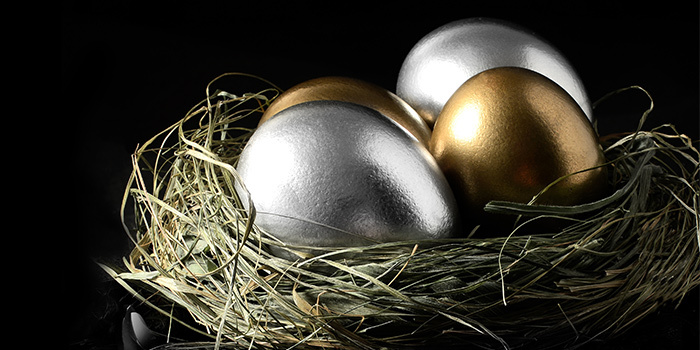 Will the nest egg outlast your retirement lifestyle? Over the years you’ve taken plenty of advice, saved and invested diligently. Now you and your family are knocking on retirement’s door or, perhaps, in its midst. The good news is the family members will likely live longer than before. The flip side is that more money may be required to fully fund retirement lifestyle. Let’s assume that retirement spans from age 60 to 90, often longer. Many worry that the money won’t last and runs out during retirement. Analyze life expectancy of the immediate family members for both spouses or partners. Specifically, review the current ages of grandparents, parents, uncles, aunts and cousins. Some are petrified at the mere thought of such a prospect becoming reality. The question becomes what you can do to at least contain this situation. Analyze life expectancy of the immediate family members for both spouses or partners. Specifically, review the current ages of grandparents, parents, uncles, aunts and cousins. Get familiar with the ages attained by family members that have passed away. Pay attention to patterns of critical illness and longevity. Today, it is commonplace for many to live well into their 80s. It is wise planning for a family to expect that at least one spouse could easily live past age 90. Another expectation is that family longevity continues to increase. Updating the retirement projection refreshes the family’s capital needs for the desired lifestyle. Conventional wisdom too often believes that a retirement portfolio should invest in an increasing level of bonds and fewer stocks. That is often a critical mistake. A periodic retirement projection estimates how much capital preservation strategy is required to meet the family income goals. Investing within the wrong profile can inflict financial damage both on the too aggressive as well as too conservative scale. One snag of retirement portfolios is that the vast majority do not receive further injections of savings once the contributors stop working. Some families are fortunate to receive an inheritance. Retirement spending lasting two or three decades requires the family to establish a sensible balance between incurring risks and seeking investing returns. Every family is wise to contemplate the impact of rising health costs. It is not unusual for a family requiring a retirement home facility to incur costs in the thousands of dollars per month for one spouse. Medications can also add considerable cost burdens, especially if the family pays the entire cost. Other health costs may be incurred for assisted living facilities, nursing homes, modifications to the family residence and home care services. All placing additional pressures on the retirement fund. Speak to your local health units for cost approximations of long term care services the family may face. Having the facts and estimates improves the family planning and decision process. A sure way of taking a cut in purchasing power is to incur the ravages of inflation. Assume that inflation remains a constant 2% per year for the entire retirement horizon. An initial retirement income goal of $100,000 per year requires near $122,000 in 10 years, $149,000 in 20 years and $181,000 in 30 years. That just maintains the same purchasing power. One way to reduce such financial impacts is to delay the start of annuity type income streams such as the employer pension, CPP, OAS and Social Security benefits closer to age 70. Paying special attention to family income tax implications may diminish the tax outlay. Spending money too quickly can place the retirement plan in some jeopardy. Starting the portfolio draw down near a 3% rate provides more opportunity to tweak the plan as required. Families have to be realistic when planning their retirement needs and objectives. Most retirement portfolio strategies require making investments around a balance of stocks and bonds. You want that portfolio to last as long as possible without having to take drastic actions. Practically every long-term retirement plan needs some investment growth. For example, families who don’t need to spend all or part of the mandatory registered draws can help shore up the cash accounts or fund the TFSA. A method of making adjustments to the size of the retirement fund is to tweak your work life. One or both spouses may decide to work longer before retirement is finalized. Another way is to work part time during some of the retirement years. The primary goal is to put aside additional savings for possible use later in retirement. However, there comes a day when working is no longer a viable option. If additional funds are required, perhaps the value of the residence can be factored into the money needs, say by way of a downsizing. Every family contemplating or in retirement is faced with a variety of all-important decisions. Particularly, a prudent asset mix that reflects both the potential for reasonable growth and sensible investing risks.